It’s important to get the treatment your smile needs now so you have a healthy smile that lasts. Once your permanent teeth come in you just expect that you’ll have them forever. But teeth aren’t magically safe from damage. From the office of your Cumberland, MI dentist Dr. Angeles Felix, find out when a tooth may need to be removed. Most of the time your Cumberland general dentist will recommend having a tooth removed because of crowding, an infection or an injury. Many times if a problem is detected early enough a tooth can be filled or a crown can be placed over it after the tooth has been treated to fully restore it. If there has been significant bone loss due to gum disease some teeth may no longer get the support they need. These teeth may become too loose, where the only course of action is to have them removed. On the other hand, an extraction may be advised prior to getting braces, particularly if teeth are too crowded. Also, wisdom teeth are very often removed because they can grow in at an awkward angle or if they never fully erupt from the gums (impacted wisdom teeth), which can increase your chances of developing an infection or cavity. Wisdom teeth are the third set of molars to grow in (usually around your late teens or early twenties). 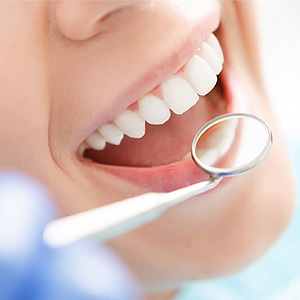 What are the different kinds of tooth extractions? Teeth that have fully erupted and can be seen above the gums can generally be removed with a simple extraction. The area to be treated will be numbed before your dentist in Cumberland removes the tooth painlessly. But for teeth that are impacted, which is often the case with wisdom teeth, they will require a surgical extraction. Teeth that are also severely broken may require a surgical extraction if the damage is significant enough. Whether you need a tooth extraction or just a dental cleaning, know that you can get the individualized, compassionate care you want from our very own Dr. Felix. Call Dental Associates of Cumberland to schedule you or a family member’s next visit today!